Limited supply and red-hot demand for investment opportunities in Canada’s marijuana industry have caused stock prices and market capitalizations for cannabis companies to surge ahead of legal adult-use sales later this month. Market capitalizations of some of these companies in the Great White North now rival – or have even eclipsed – those of more well-known and established businesses such as Molson Coors, Harley-Davidson and Kohl’s. The Canadian Marijuana Index, an index comprised of 18 publicly traded marijuana companies – both plant-touching and ancillary – indicates that Canadian marijuana stocks got a collective boost after the Aug. 15 announcement by liquor giant Constellation Brands that it would boost its ownership stake in Ontario-based marijuana producer Canopy Growth by investing an additional $3.8 billion into the business. The deal represents the largest investment in a single cannabis company on record, but perhaps more important, it signaled Wall Street’s willingness to get involved with the cannabis industry. Bank of America Merrill Lynch financed Constellation’s investment, and Goldman Sachs advised on the deal. The Canadian Marijuana Index jumped 395 points from Aug. 14 to Sept. 12, an 82% increase in less than a month. As stock prices soared, so did market capitalizations for Canadian cannabis companies. Market caps are determined by the number of outstanding shares in a company multiplied by the share price. 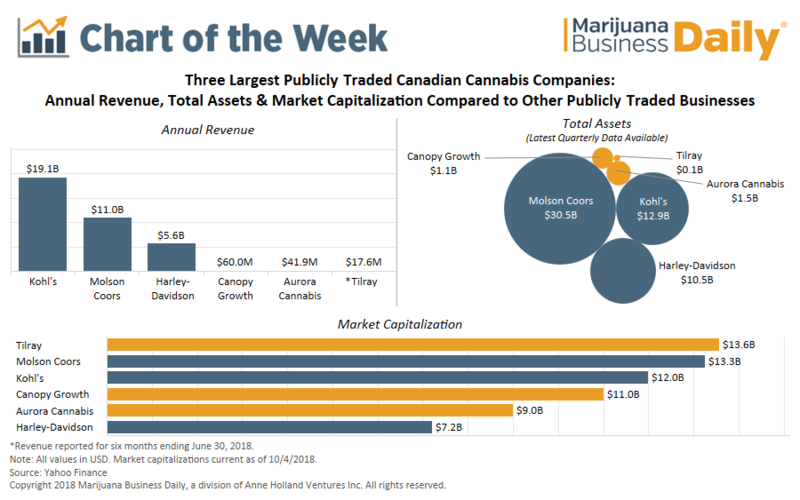 As of Oct. 4, British Columbia-based Tilray’s market cap was just shy of $14 billion, surpassing that of Molson Coors – which itself recently became involved in the cannabis industry through a joint venture with Quebec-based licensed producer The Hydropothecary Corp.
Molson Coors, however, brought in more than $11 billion in revenue in 2017 and holds more than $30 billion in total assets. By contrast, Tilray’s revenue for the six months ending June 30 was roughly $17.2 million, with assets valued at just over $106 million. Chris Damas, editor of the BCMI Cannabis Report, believes that the underlying financial metrics typically used by investors to judge the health of a company and evaluate its investment potential are not as relevant in the early days of the cannabis industry. “The fundamentals like price and sales are wrong. Investors are not looking at that,” Damas said. Rising share prices and market caps don’t necessarily mean Canadian cannabis businesses are over- or undervalued; rather, it’s a reflection of intense demand on the part of investors to get involved in the marijuana industry and the relative lack of quality investment opportunities. “Rising share prices and market caps don’t necessarily mean Canadian cannabis businesses are over – or undervalued”……Ummm, this is exactly what it means. The shares are either over, under or appropriately valued. Demand will materialize or it won’t. Companies will execute or fail. Can someone explain why Tilray with the smallest asset base and revenue stream has the highest market cap of the weed companies listed above? What is the ingredient in their business model that has the market projecting them to be an ultimate winner? Listing on the Nasdaq (an American market) rather than the Toronto stock exchange was the difference for Tilray. This unleashed a huge demand for a legal cannabis buy (pun intended) in the US. There is absolutely no doubt that Canadian cannabis stocks are hugely overvalued. How long will the party go before the bubble bursts? It may be sooner or it may be later but market fundamentals will come into play. I sold all my pot stocks this month as legalisation approaches. A 250% return in ten months is good enough for me. That was the best investment I ever made! Sanely, I only put up what I could afford to lose. No regrets. Yes it is!!!!! Let us do this. Aurora Cannabis, growing to be the new Berkshire Hathaway. I need more ABCFF!! Absolutely this party is just getting started!! I have no intention of selling any stocks just yet. 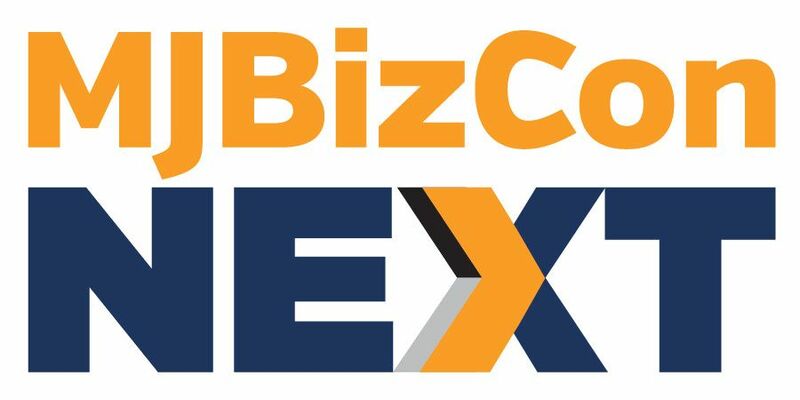 This will be like being at the start of Microsoft or IBM, but better! Hold on, we’re going for a ride!! This is exactly how bubbles happen. This should be a good investment and I believe the industry will do well in the future. The medical benefits of the cannabis are partially known now, and will most likely be even more exposed with additional research, while no real side-effect has ever been identified. Thanks, to the profits from the marijuana sector we will pay off all of our debts in the very near future. Who would ever have thought that this sector would enable us to pay off two mortgages, four credit cards & a car? The plant has been such a benefit not only to pay off debts but more importantly control pain & inflametion, post stress disorders, epilepsy & many others too numerous to mention. Thank you Lord for your creation that has been able to benefit so many. The greatest opportunity & benefit of our lifetime has just began.